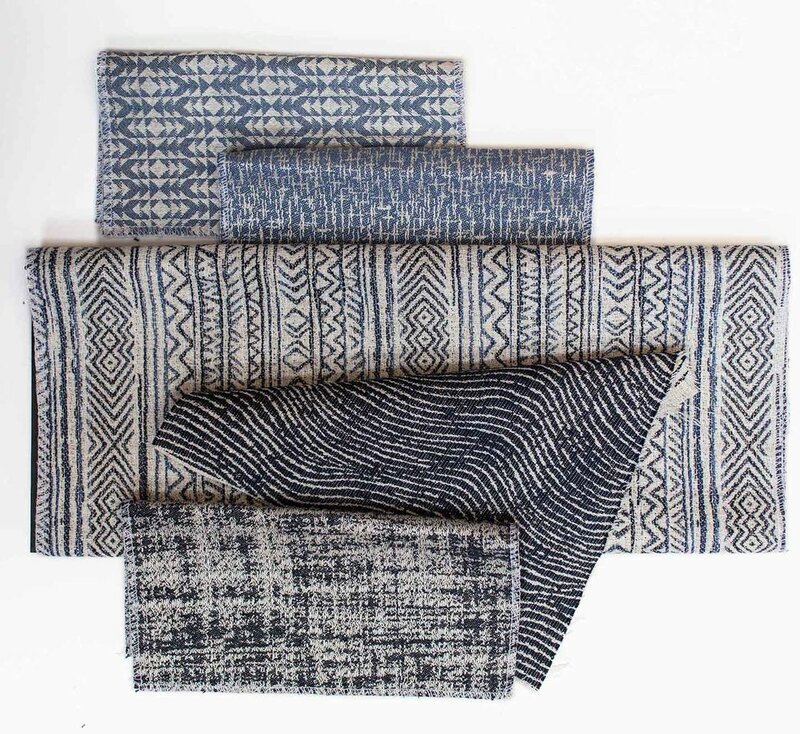 | New York, NY - May 29, 2018 | Fil Doux Textiles’ new Dialogue collection encourages a conversation with the surrounding world, demonstrating exchanges between the smooth and the textural, and the whimsical and the serious. The 14 patterns exhibit a sophisticated cohesion in their shared colors and textures that mimics the way we impart knowledge and experience to one another when engaging in dialogue. In the collection, luxury woven textiles communicate with fun and bold digital prints. The nature of the collection reinforces this idea: though one may discover differences when engaging in local and global communities, it is more important to revel in cultural commonalities. Outspoken and daring patterns lead the way for refined and reliable basics, coming together to create a collection that has a lot to say in hopes of continuing inspiring conversations. Concerto, like the inspiring sound of a room full of good conversation, is a symphony of interwoven threads that create a spectacular woven pattern available in 8 colorways. Intuition is a traditional tribal pattern with a striking appeal. This showstopper comes in 5 colorways. Palmetto is a design that appears as if its namesake leaf was dipped in metallic shimmer and pressed onto a linen-inspired base. A special print that brings a touch of magic to all interiors, Palmetto is available in 4 colorways. Pillow Talk is whimsical and sweet, taking risks with retro color combinations in 6 different varieties. Subterrain is a pattern of undulating waves with a grounding depth. This earthy design is available in 8 colorways. Subtext has an intricate lattice work veil and vibrant thread highway. 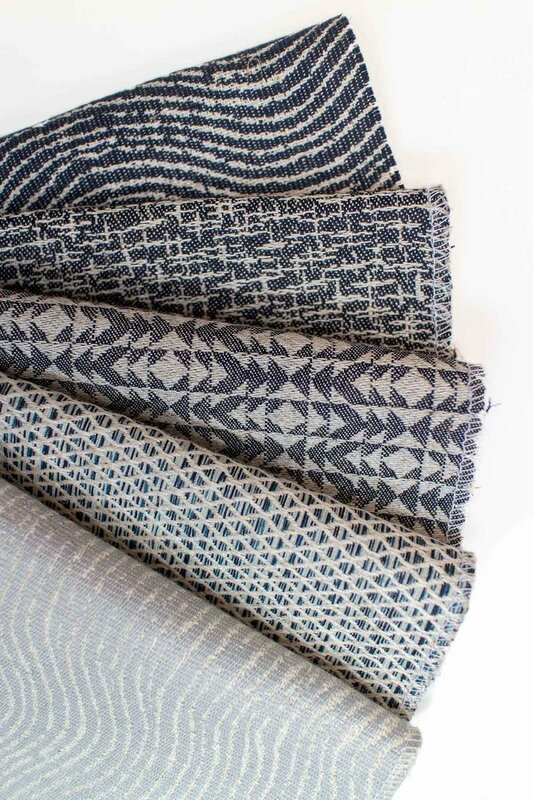 This exciting woven avoids overwhelming the eye with a small scale design that comes in 3 different colors. Translate is composed of geometric shapes that reverberate, mirroring the transfer of data and the sharing of ideas. This beautiful woven is available in 8 colorways. Luxe is a lovely tight weave with a subtle shimmer that comes in 12 colorways. Patina is a woven basic that emulates the natural beauty of its namesake weathered look. Elegant and wise, Patina comes in 8 colorways. Spark uses a natural yarn to create an exciting, glistening pattern that transforms when seen up close. This woven basic comes in 13 colorways. Tundra is rich and textural like an arctic landscape, with a gentle hand that mimics the softness of freshly fallen snow. This basic comes in 7 colorways.